Ford is one of the leading American vehicle manufacturers today, creating vehicles that are trustworthy and extremely durable. We know that your vehicle is a huge investment and your priority is finding an auto repair center that you can trust will properly handle your vehicle. 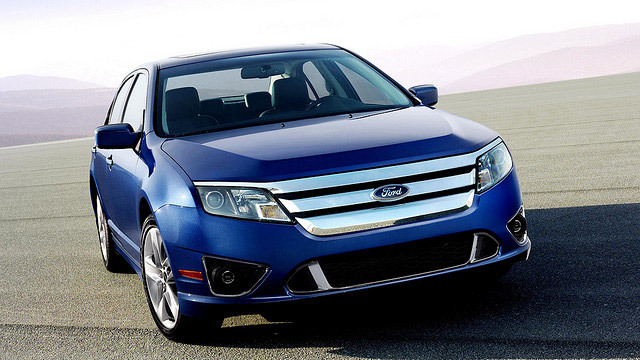 At Community Auto in Fort Collins, our ASE certified technicians are experienced working with all models of Fords. Whether you’re due for scheduled maintenance or need a major repair, our experts can help. We can handle any service or repair for your Ford, from just a simple oil change to a transmission problem. Our Fort Collins auto repair shop has the latest, state-of-the-art computer diagnostic tools to accurately diagnose your vehicle the first time. If you notice a problem with your Ford while driving or the check engine light has turned on, bring your vehicle into our shop at the first sign of trouble. We will determine the exact cause of the problem and get you back on the road quickly and safely. If you’re looking for expert auto care for your Ford, don’t hesitate to bring your vehicle to Community Auto. We look forward to seeing you soon!